Themes noted among the 389 exhibitor booths on the floor of the 2018 edition of Licensing International Expo were as varied as the product that represented them. They included the continued growth of collectible toy brands as licensed properties, merchandise with a message, properties tied to digitally distributed content (like streaming entertainment and online influencers), Day of the Dead themes, rainbows and unicorns and more. Under the direction of Editorial Correspondent Leigh Ann Schwarzkopf, Project Partners Network put their licensing lens to work for The Trend Curve. Read on for their report on the top trends from this important show. There was no end in sight for the collectibles trend. 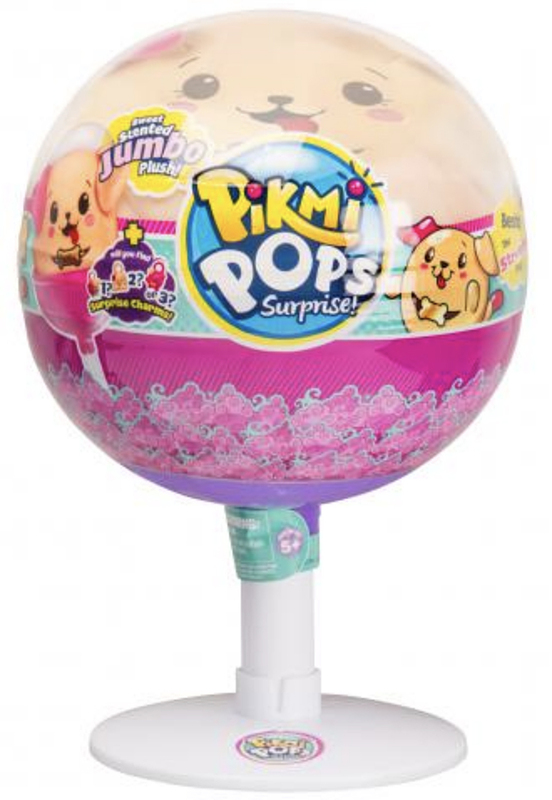 Soft’n Slo Squishies (owned by Orb and licensed by Nelvana), Cupcake Surprise (owned by Sunny Days Entertainment and Haschel Holdings and licensed by Global Icons), Pikmi Pops (owned and licensed by Moose Toys) and Moj Moj (owned and licensed by MGA Entertainment) joined the likes of Fingerlings, Shopkins, and Beanie Boos in the show aisles. Unboxing was also a theme, not just in collectible brands such as L.O.L. Surprise but in dolls such as Jay@Play’s Boxy Girls, licensed by Synchronicity. Although the jury is still out on how big an impact streaming can have on licensed merchandise sales, the phrase “as seen on Netflix” was a popular marketing hook. Properties touting their Netflix connections included reboots (Lost in Space, licensed by Synthesis Entertainment), adult properties (Narcos, from Evolution), franchise-based kids’ shows (Llama Llama, from Genius Brands), new kids’ properties (Bat Pat, from Firefly), and international series entering the U.S. (Rilakkuma and Lottie Dottie Chicken/Galinha Pintadinha). Digital influencers enjoyed a growing presence at the show, even though most of their licensing activities have been limited so far. Among those rising at the Licensing show were comedians Shane Dawson (UTA) and Jake Paul (Brand Central), toy unboxers Ryan ToysReview and HobbyKidsTV (both at Pocket.watch), niche celeb-as-crafter LaurDIY and gymnast Sophie Dossi (both at Brand Liaison). Meanwhile, a property’s number of social media followers continued to gain importance as a metric for all types of brands available for licensing. A notable number of property owners had U.S. Hispanic consumers in mind this year, with celebrities, sports properties, characters, and artwork all on display. 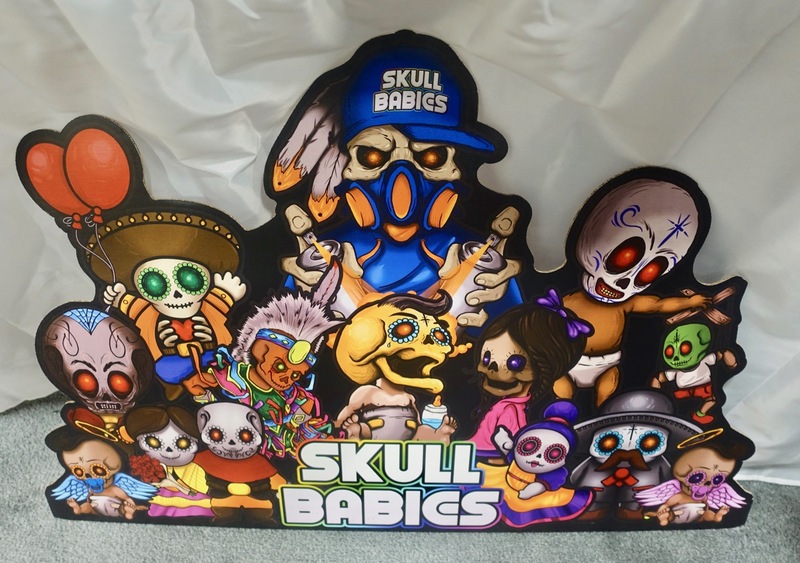 Day of the Dead imagery was a focus at many booths, from art properties such as Skull Babies and the imagery of David Lozeau to character/lifestyle properties such as Tokidoki. Several high-profile girls’ properties incorporated rainbow themes, including True and the Rainbow Kingdom (a Netflix Original from Guru Studio, licensed by Brand Central), Rainbow Ruby (from Korea’s CJ E&M), Rainbow Rangers (Genius Brands, airing on Nickelodeon), and Rainbow Hedgehogs, a book property by Lisa McCue (represented by Licensing Works!). In spite of the rise of llamas in décor, unicorns proved that they have real staying power in the world of licensing. 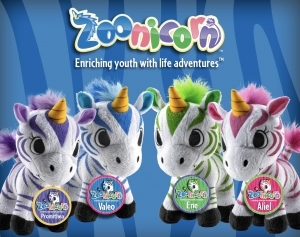 From Random House’s Uni the Unicorn to Zoonicorn’s zebra-plus-unicorn characters to Sonar’s Go Away, Unicorn! (at Centa IP), these mythical creatures remained a key theme at the show this year. Character, art, lifestyle and collectible properties—see at companies from Fingerlings to Pikmi Pops—also placed unicorns front and center. And Saban’s Rainbow Butterfly Unicorn Kitty, developed with Funrise, had it all. The popularity of 1980s videogames, along with authentic bitmap artwork or designs inspired by it, was still building. From Sega Genesis Classics, to Namco Bandai’s Pac Man, to Konami’s Bomberman, Contra and Frogger (recently assigned to 4K Media for licensing), retro 20th-century gaming remained more than relevant to 21st century consumers. Two heads are better than one. That belief was reflected in the continued presence of property pairings: crossovers, co-branding and collaboration. Rick & Morty and Dungeons and Dragons will appear together in a comic book from publishers IDW and Ony Press, while King Features’ Popeye the Sailor Man recently announced two new streetwear collections, with H3 and A Bathing Ape, to name just two examples. Female empowerment themes have had a high profile at the Expo for several years. In 2018, there was more diversity in the offerings, from superheroes (Nelvana’s Mysticons), to inspirational artwork (Random House’s Women in Science collection, based on the illustrations of Rachel Ignotofsky), to positive messaging (Mattel’s Barbie and her “You Can Be Anything” motto).